Note from Phil: Samuel Sey is one of my favorite bloggers, writing—always with keen insights and pithy prose—at "Slow to Write." We've invited him to join the team here. He's weighing the opportunity, so be kind to him—at least until he commits. He recently interviewed me for his blog. I decided to mirror the interview here, because I liked his interview questions so much. love listening to people. I love learning from people. And the most effective way to listen and learn better, is to ask questions. So today, I'm starting a new series called Seven Questions With. In this series, I will be interviewing some of the most interesting people who shape how we think of Christ, culture, and more. 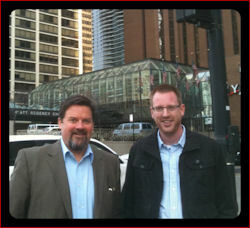 Phil Johnson has been shaping how I think about Christ and culture for years. 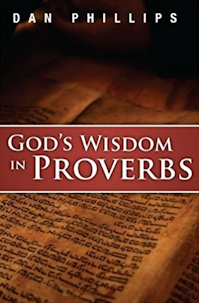 He is the Executive Director of Grace to You and he has edited John MacArthur's books since the 80s. He is an elder at Grace Community Church in California and is the founder of Spurgeon.org and the blog, Pyromaniacs.net. And I am thrilled to interview him today. I intended on asking him just seven questions, but that wasn't enough. Phil Johnson had too many interesting things to say, so I asked him four more. Sir, you've been a consistent voice against false teaching within evangelicalism for many years. 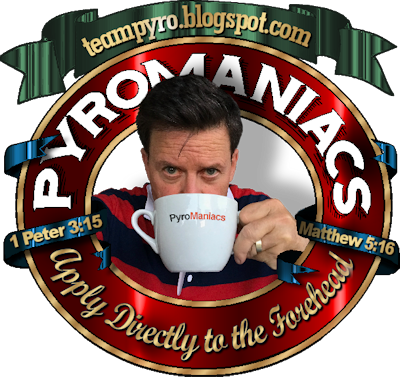 From the first time I read your blogs on Pyromaniacs in 2008 to your appearance at Wretched Radio earlier this week, you've been a strong critic of the emerging church, seeker sensitive movement and the prosperity gospel. Still, I was surprised to hear you say once that "the modern church needs a reformation more than the church of the middle ages." What makes you believe that? And what would this reformation look like? Luther's ire was ignited by Tetzel, a papal fund-raiser who plundered Germany's poor by selling indulgences (false promises of divine clemency). Tetzel was collecting cash to build St. Peter's Basilica in the Vatican, fleecing the poor just to add to the opulence of the Papal See. And look where we are now. Protestant Christianity has dozens of Tetzels who appear on TBN nightly, bilking poor people out of money with the promise of financial prosperity, and TBN festoons all their studios in an even more tawdry style of opulence than that favored by medieval Rome. One of the tools of Tetzel's double-dealing was a trite bit of doggerel: "As soon as the coin in the coffer rings, the soul from purgatory springs." 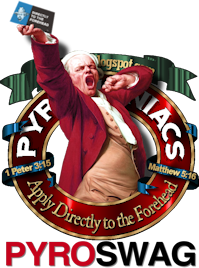 Today's evangelicals have abandoned classic hymnology and psalmody in favor of generically romantic-sounding sentimental love songs that are just as false as (and much more banal than) Tetzel's little rhyme. Evangelicals for the most part have abandoned their Protestant forebears' core doctrinal distinctives in favor of whatever happens to be popular at the moment—political causes, cultural phenomena, memes, movies, methodologies, and other values borrowed from the world. And yet the typical evangelical leader aggressively lobbies for more of this kind of "contextualization" while winking at (or cheerleading for) the dumbing down of our doctrine. You are one of the authors of the Statement of Social Justice and The Gospel, what prompted the statement? Why is it necessary? I've always believed it is dangerous and foolhardy for Christians to let secular culture help shape our message and set our agenda. When that happens, it always pushes the gospel to the background while giving center stage to whatever the world is concerned with at the moment. In this case, loud voices are insistent that social justice is a gospel issue. Some have even said those of us who are not on board with the social justice movement don't have the gospel at all. What they then go on to emphasize seems to supplant the good news of the gospel—the promise of forgiveness— with demands, reproofs, and strictures imported from the law. That's spiritually deadly. As I said in a recent blogpost, to treat social-justice activism as an essential tenet of gospel truth is a form of theological legalism. It is not fundamentally different from the teaching of those in the early church who insisted circumcision was a gospel issue. The statement has produced strong reactions. What do you make of the reactions to the statement? What are some of the most encouraging things to come out of the statement? What are some of your new concerns, if any, after the release of the statement? Are there criticisms against the statement that you find helpful? I expected a strong reaction to the statement, even though there's nothing in it that ought to be controversial to anyone who believes the Bible. And in his first response to the statement, Thabiti Anyabwile acknowledged that it contained nothing he could disagree with. I was encouraged by his candor. But the fact that the statement doesn't affirm the rhetoric of the "social justice" movement is enough to make lots of influential people in that movement angry. I expected that. I was surprised, however, by the force of some of the angry reactions. And I was also somewhat caught off guard by the sheer number of people who vandalized the Statement website by pretending to sign the document with profanities and phony names (some of which were overtly racist). It seems some of the champions of "social justice" have a strange idea of what public justice (and obedience to the Second Great Commandment) is supposed to look like. That brings to mind the one new concern I might voice in the wake of the statement's release—namely, that the ideology, rhetoric, and anger currently fueling certain evangelical social justice advocates has already reached an extreme I didn't anticipate. The most radical social justicians (to borrow a term from Darrell Harrison) seem to be predominantly grassroots voices, not people in positions of far-reaching influence. Nevertheless, I fear that such visceral anger (especially in response to a statement admittedly lacking anything terribly controversial) doesn't augur well for the future of the debate. I've been encouraged, however, by the volume of feedback from people who say they are thankful that someone finally put into clear words the concerns that so many of us share. I wouldn't characterize any of the criticisms I've seen as "helpful," except for several critics who have noted that some of the terminology under debate needs to be carefully defined. That's true for both sides. It's the one plea that if heeded well by both sides would help identify who is genuinely committed to biblical principles—and unmask those who might instead have an agenda reminiscent of the "social gospel" fiasco of the modernist era. What do you think will be the outcome of this all? Is the social justice controversy going to be an ongoing issue within the church for a long time? Or is it going to become a non-issue soon? I certainly don't think it will become a non-issue soon. I hope those who support the statement will be patient and hold their ground. My prediction is that those on the social justice side whose commitment to biblical authority is tenuous will react to the Statement in a way that makes their radicalism more obvious. Over time, that will result in a loss of support and momentum for the movement. That's precisely what happened to the Emerging Church Movement in the first decade of the new millennium. And I see many parallels between the two movements. Why do you think evangelicals embraced social justice so quickly? What fault within evangelicalism today made us accept social justice so easily? Was there a precursor to this? What I'm suggesting in my reply to your previous question is that the all-but-dead Emerging Church Movement and the social justice movement have borrowed rhetoric, strategy, and jargon (including "social justice") from the same playbook. In 2010, when the Emerging Church movement seemed to be on its deathbed, I wrote: "With the meltdown of the visible movement, Emergent thinking is being dispersed like so many dandelion seeds into the broad evangelical movement, which was overrun with religious weeds in the first place." The social justice movement is precisely the kind of development I had in mind. And some of the very same evangelical thought leaders and their followers who were angry about my criticisms of the Emergent movement thirteen years ago are now angry at the Statement. I've been reading Charles Spurgeon's words from the Down-Grade Controversy recently, if Spurgeon was alive today, what do you think he would have said about the social justice issue? Are there any words from Spurgeon that relate? Spurgeon and Charles Dickens were contemporaries, so the workhouses and other class disparities that Dickens lampooned in his novels were facts that Spurgeon witnessed up close and deplored. (He famously founded an orphanage to help with the problem.) He was a classical liberal—an advocate of equal rights for all classes. He was openly hostile to the Tory policies of his time that were designed to perpetuate class distinctions and make political hay off tensions between the classes. Yet he strongly believed that Caesar should "mind his own things, and let the things of God alone," and that Christian ministers should tend to their high calling and not become entangled in public arguments about partisan politics. He described himself as "loath to touch politics at all," and when accused of being too political because he addressed certain moral issues, he issued this challenge: "Take the eighteen volumes of the Metropolitan Tabernacle Pulpit, and see if you can find eighteen pages of matter which even look towards politics; nay, more, see if there be one solitary sentence concerning politics, which did not, to the preacher's mind, appear to arise out of his text, or to flow from the natural run of his subject." "For a Christian minister to be an active partisan of Whigs or Tories, busy in canvassing, and eloquent at public meetings for rival factions, would be of ill repute. For the Christian to forget his heavenly citizenship, and occupy himself about the objects of place-hunters, would be degrading to his high calling: but there are points of inevitable contact between the higher and the lower spheres, points where politics persist in coming into collision with our faith, and there we shall be traitors both to heaven and earth if we consult our comfort by slinking into the rear." In keeping with that policy, Spurgeon actively opposed the chattel slavery of the American south. His outspoken stance cost him ministry opportunities (he never came to America, and Southern hostility to his anti-Slavery statements was one of the chief reasons.) It also cost his publisher sermon sales. "Is it any business of ours to visit the sins of the fathers upon the children? If any think so, we did not write these lines for them. We would not waste our time upon them. We regard them as eligible candidates for the hangman's post. . . ."
You are connected to John MacArthur and Charles Spurgeon, what about these men draw you to them? What are their similarities? What sets them apart? I love the bold honesty of both men, and the fearless way they proclaim what Scripture says, without regard to opinion polls or political correctness. Spurgeon's war against modernism certainly fatigued him and arguably contributed to his early death, but he persisted even though practically every influential evangelical leader at that time tried to take a softer line against modernism than Spurgeon. 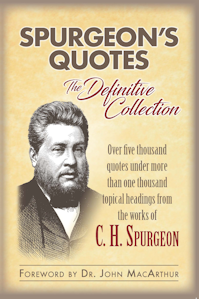 Spurgeon predicted that he would be vindicated by history, and he was right. In a similar way, John MacArthur has been a steadfast opponent of post-modernism. And though I know he hates the conflict, he loves the truth more than he cares for his own reputation. History will vindicate MacArthur just as it did Spurgeon. Both men had long pulpit ministries in a single church for the entirety of their careers. That alone says something about their love for their flock, and vice versa. They share a birthday as well. You've edited most of John MacArthur's books since the 80s, which of the books was your favourite to edit? Why? Probably The Vanishing Conscience. That book introduced me to John Owen on The Mortification of Sin, and it helped purge my thinking of some latent ideas that I had retained from the days when I experimented with Keswick-style deeper-life doctrine as a college student. I've walked into a bookstore that features all of John MacArthur's books, but I can only buy one. Which one should I buy? That's the hardest question so far. I'm torn between Ashamed of the Gospel and The Gospel According to the Apostles. I might lean toward the latter, because it's not just a polemical refutation of Dallas-style antinomianism; it's also a decent systematic study of soteriology. Working on that book was, for me, an unprecedented immersion in gospel truth—the thing that first made me truly serious about doctrine and precision. And it introduced me to historical theology, which became an enduring subject of interest for me. Ashamed of the Gospel was what provoked my interest in Spurgeon. 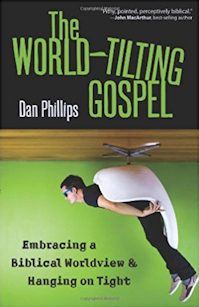 That book conclusively refutes the stylish pragmatism that permeates postmodern evangelicalism. It's also the full-length answer to your question about what John MacArthur and Charles Spurgeon have in common. In your article "A Gospel Issue? ", you explained that social justice isn't a gospel issue. What then are gospel issues? How do we determine what gospel issues are? "Gospel issue" is one of those terms that gets thrown around without careful definition—and I suspect that some of those who are most insistent that "social justice" is a gospel issue are purposely vague about what they mean by that, because they frequently equivocate. All true evangelicals confess that the doctrine of justification by faith is a gospel issue. One of the central points Paul makes in his epistle to the Galatians is that if you deny justification by faith, you don't have the gospel at all. Elsewhere, Paul lists the death, burial, and resurrection of Christ "according to Scripture" as primary gospel issues—meaning, again, that if you deny or corrupt any of these, you don't have the gospel. Normally, when we speak of something as a gospel issue, we are identifying truths intrinsic to the gospel message—points of truth you cannot get wrong or deny if you are truly faithful to the gospel. That's what I mean when I say something is a gospel issue—and it's what multitudes understand when they hear the expression. Some people casually apply the "gospel issue" label to just about any idea they think worth defending—and then they justify that usage by saying the idea they are defending is an implication of the gospel. But every enduring truth is ultimately an implication of the gospel in one way or another. And if every truth is ultimately "a gospel issue, then there's nothing distinctive about the gospel—nothing that clearly distinguishes the gospel from the law. That has been precisely the impression people get from most of the evangelical social justice rhetoric. In the article you are referring to I recounted an incident that illustrates why that's such a serious problem. By playing with the expression like that, (by erasing the important distinctions between law and gospel) evangelical social justicians are eliminating a theological clarification without which you can't really even grasp the significance of the gospel. It's hard to overstate how dangerous it is to play fast and loose with the gospel like that. Is Challies really as sweet-tempered as he pretends to be whenever he's around me? Haha, yeah, he is. Whenever I read James 1:19, I think of Tim. He's the most gentle man I've ever met. When I finally grow up, I want to be like him. Dead. The moment you start with "I" you are terminally futile. Good buy. One of the reactions to the social justice statement that confuses me is how vehemently people have been objecting to the idea that some cultures are better than others. Does such a strong repudiation of the possibility not undercut their entire argument?